Is the Appalachian Trail or Pacific Crest Trail calling your name? Do you want to try out backpacking but don’t know where to start? Do you have experience backpacking, but are looking to lighten your load. 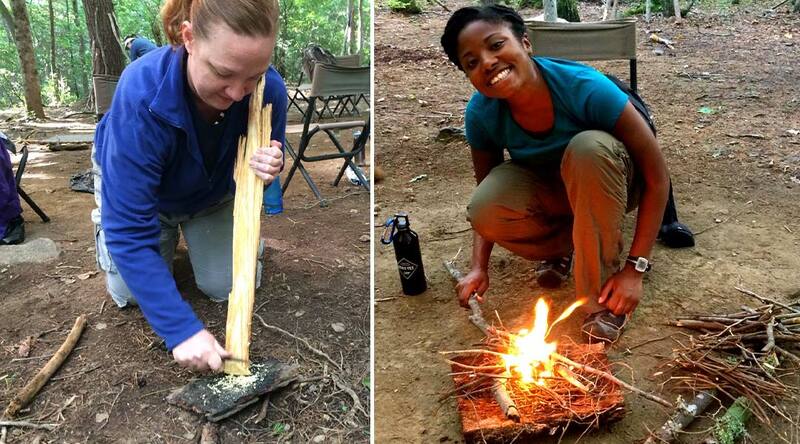 Either way, this overnight backpacking course is designed to meet your needs. You will learn how to properly select, fit, and pack a backpack with the 7 Survival Priorities in mind. 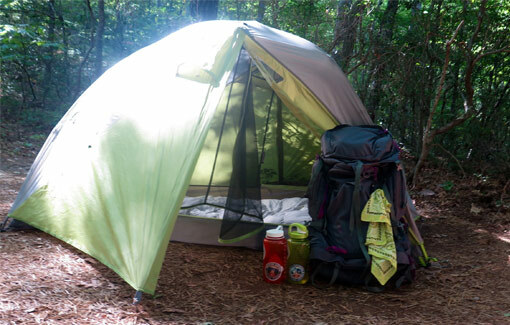 Spend two days learning all the basics of backpacking including campsite selection, camp cooking, water treatment systems, and how to stay safe and comfortable while you hike, all the while keeping an ultralight focus. 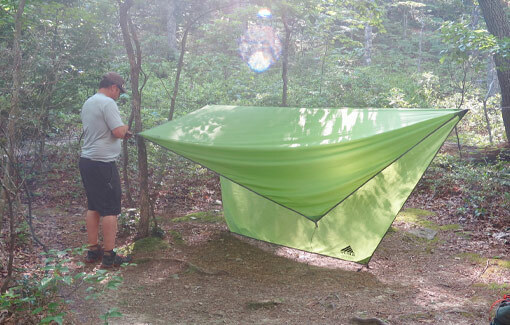 You’ll also learn about Leave No Trace guidelines the importance of minimum-impact camping. 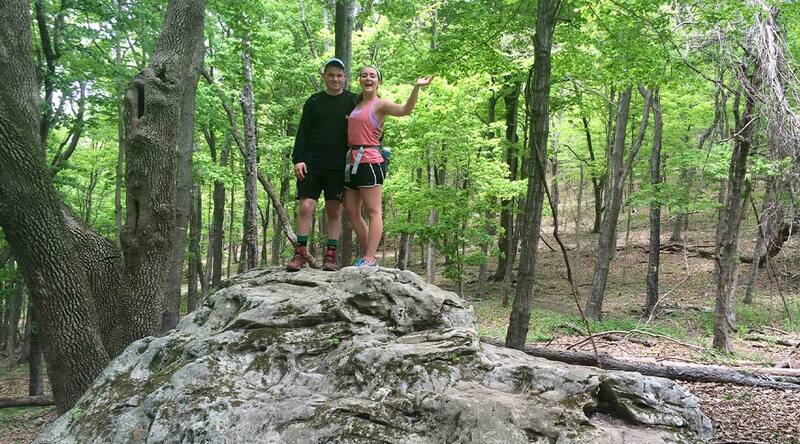 Our instructor has personally completed a thru hike of the Appalachian Trail (and several other trails! ), so this is a great course for those considering and overnight trip or a long-distance hike! Bushcraft refers to the skills required for living in the backcountry. 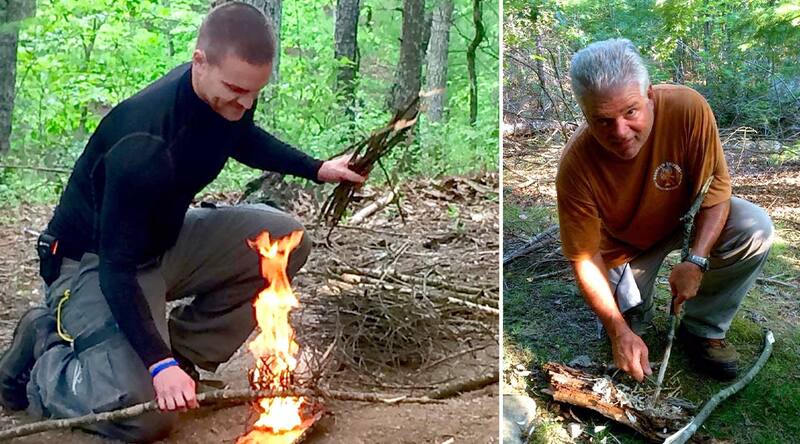 We focus on teaching you primitive shelters and fire, using tools, orienteering and using and creating your own gear. 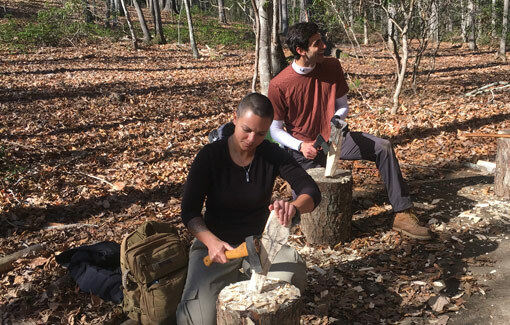 Mountain Shepherd’s approach to Bushcraft is centered around reducing your dependence on modern backpacking gear while increasing your ability to exist comfortably in a wilderness setting. While there is a distinct difference between survival and bushcraft, a solid foundation in these skills will enhance your ability for survival and help you to maintain a positive mental attitude if the situation was ever to arise. Are you ready to let out your inner Adventuress? 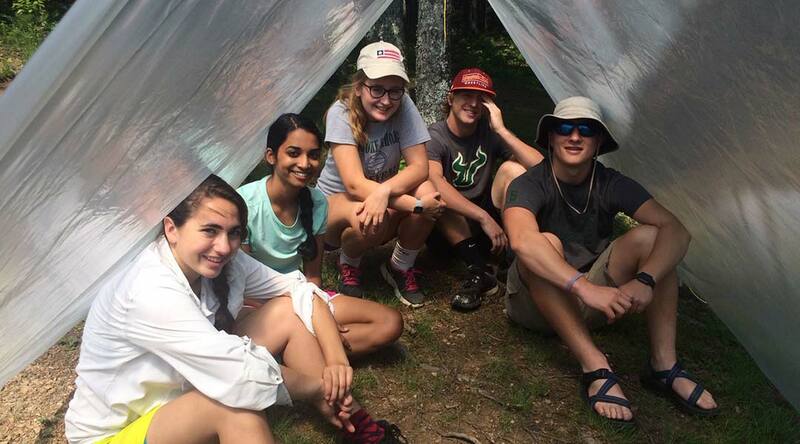 Come to Camp Adventuress at Mountain Shepherd for all of the above and more! 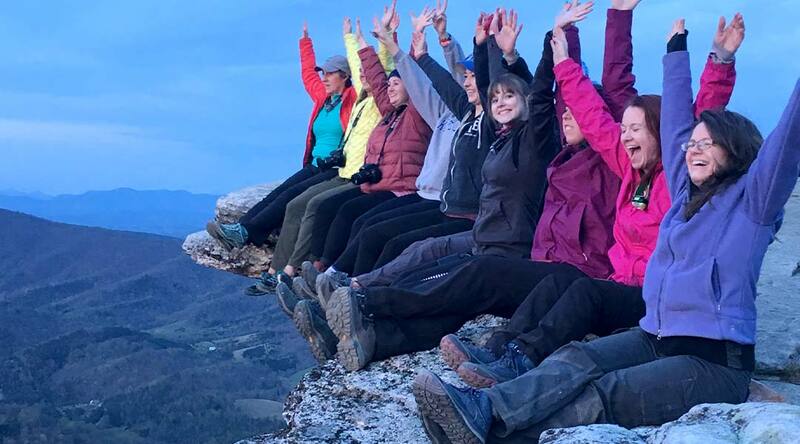 After 5 full days in the beautiful Blue Ridge Mountains with fellow Adventuresses, you will head home feeling empowered, excited, and eager for more outdoor adventures. This session is also a five-day overnight experience during which Girls Empowered will be challenged to step further outside their comfort zones by building on the skills and understandings they gained during GEMS 1. Avid Girls Empowered are invited to Rock On for another intensive five-day overnight experience focused on personal development and empowerment. GEMS who have already shined bright, dug deeper, and rocked on are ready to Be Genuine on their fourth exciting endeavor! This session invites GEMS back to Mountain Shepherd for five days of personal growth and leadership development, plus plenty of outdoor adventures. 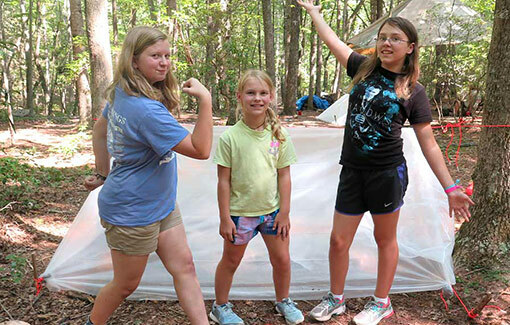 Be Genuine challenges girls to use the survival, communication, leadership, and safety skills they’ve gained to plan an outdoor adventure, explore civil debate and compromise, investigate environmental issues, practice public speaking, and discover nutrition and personal health. 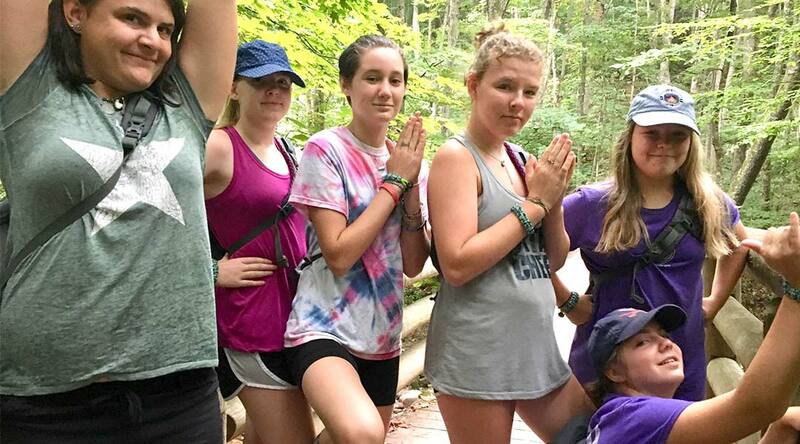 Additionally, GEMS in Be Genuine will take day trips away from camp to practice land navigation on a hike to Huckleberry Knob, dive deeper into stand-up paddling and hit the trails on mountain bikes at Carvin’s Cove, experience nature on horseback at Hollins University, and practice their confidence pose in mid-air while ziplining in New Castle! GEMS will grow to be GEMuinely authentic, adventurous advocates in GEMS 4: Be Genuine. Polishing Up is designed to introduce older girls to the GEMS program by combining the GEMS 1 and 2 experiences into a single five-day overnight session. Get your workout on in the great outdoors! Join certified personal trainer Stephanie Kearney for a four-day fitness and nutrition bootcamp that is perfect for beginning a routine or brushing up on an old one. Stephanie’s passion is motivating others to live an active, healthy lifestyle, and with her expert instruction, you can learn to stay fit for your next adventure! 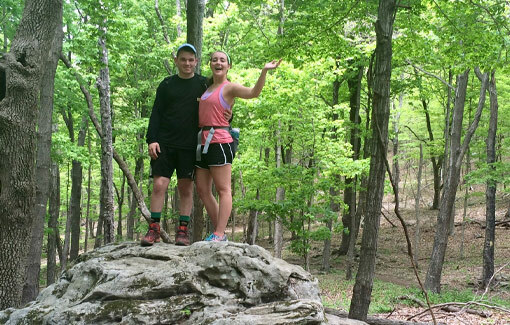 Discover personal peaks while summiting three of the Appalachian Trail’s most popular mountains: Tinker Cliffs, McAfee Knob, and Dragon’s Tooth. 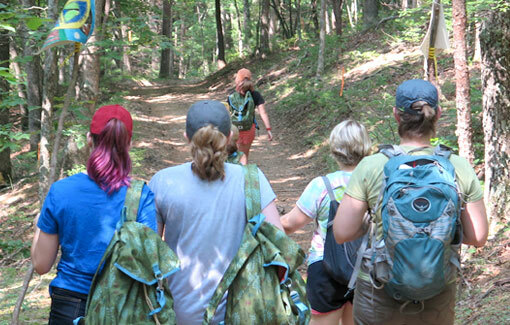 This 3-day, 2-night backpacking experience covers the Virginia Triple Crown section of the A.T. With the guidance of our instructors, you can further develop your backpacking skills and reach your outdoor adventure goals during Peak Performance. “Peak Performance for Women”: This empowering experience is designed for and facilitated by only women, which creates a confidence-boosting no-judgement zone where women can be themselves! 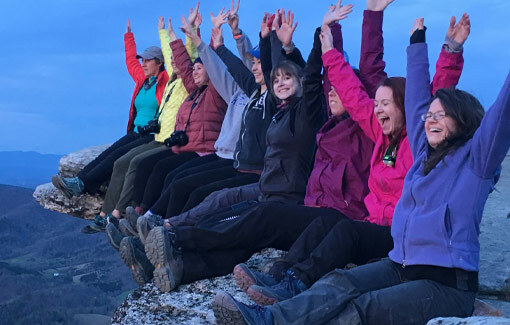 Peak Performance for Women is a perfect opportunity to make new friends or to bring a friend or family member along for some adventurous bonding. 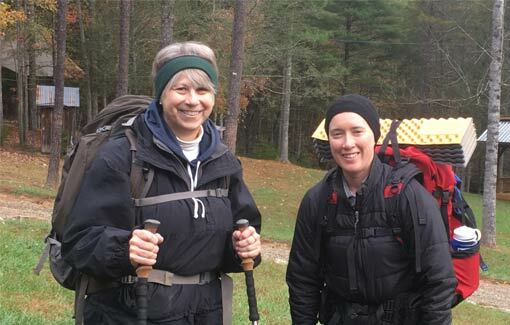 Join fellow adventurers on this trek to discover the seven survival priorities (positive mental attitude, wilderness first aid, shelter, fire, signaling, water, and food) while exploring the nearby Appalachian Trail. Trip preparation happens on Thursday at Mountain Shepherd and includes a review of the survival priorities and an introduction to the basics of backpacking, from finding water and using a stove to hiking with trek poles and fitting your pack. Accept this 3-day, 2-night backcountry challenge and you’ll return to the “frontcountry” feeling confident and capable, having achieved your Peak Performance! Are you tired of the same old “girl’s night out”? Do you want to find a truly rewarding experience with women seeking to advance in their professional and personal lives? This experience is a customizable weekend adventure for friends. Women register together for and then identify the group’s needs. We achieve the chosen level of rugged experience during our activities and lessons. Women choose their sleeping arrangements from a variety of options: the Lodge, the Cabin, personal tents, or improvised shelters. You are alone in the middle of a vast wilderness. What brought you here does not matter – all that matters is that you… survive! What is the first thing you would do? What are the necessities needed to insure you make it out alive? Survival 101 will help you answer these questions. Through this engaging and dynamic experience, you will work with former US Air Force SERE instructors as you explore the seven priorities of survival – the seven elements of making it back alive! The seven priorities include positive mental attitude, wilderness first aid, shelter, fire craft, signaling, water, and food. Survival 101 will take you through these priorities over the course of two days and one night. In the end, after “rescue,” you will know how to cope with the psychological stresses, treat injuries, tie knots and lashings, improvise shelters, start and maintain a knee-high fire in the pouring rain, effectively communicate to rescuers, find and purify water, understand how to procure food and read topographical maps and use a compass! Begin your adventure now by registering for this course today. Whether trying to survive in the wilderness or in the board room, confidence in one’s abilities is a necessary ingredient. Woman in business, in relationships, or on their own in a strange environment need strong confidence to thrive. This unique version of Survival 101 is geared toward women. 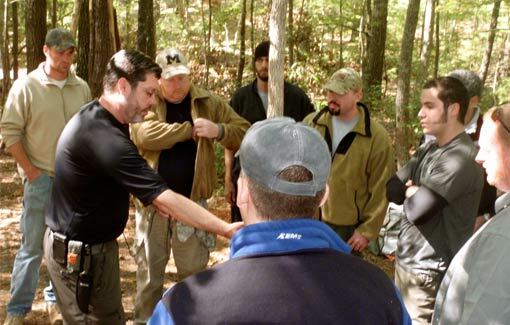 Through becoming immersed in a realistic survival scenario, you will gain not only practical survival skills, but also learn how to develop the keys to success that are already inside you. Over the course of two days and one night, you will explore the seven priorities of survival; the even ingredients of building self confidence! 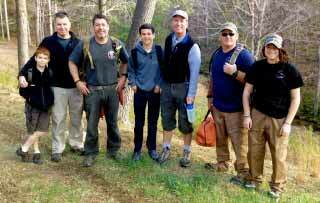 The seven priorities include positive mental attitude, wilderness first aid, shelter, fire craft, signaling, water, and food. Through this simulation, you will also become familiar with wilderness safety, preparedness, and camping skills. While participants have the option to spend the night in a tent, they can also choose to stay in Mountain Shepherd’s lodge. Take the first step toward a new and more confident you – register today! Life on the trail can be a mixed bag of challenges and awe-inspiring experiences. You never know what you’re going to get! This Mountain Shepherd adventure on the Appalachian Trail will prepare you with your own mixed bag of basic backpacking and safety skills, so you can explore with confidence in the face of both excitement and obstacles! “Trail Mix for Women”: This adventure is designed for and facilitated by only women for a refreshing, empowering experience! 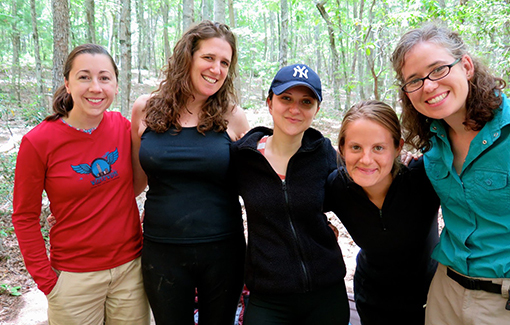 Trail Mix for Women is the perfect opportunity to try out backpacking with other strong, adventurous ladies. Any parent navigating parenthood will probably admit that the family unit can feel like a wilderness at times! While numerous parenting books attempt to help parents navigate this foreign land, many find that their children do not fit the simple molds found in such books. If you are looking for a unique way to bond with your children, and in turn strengthen your family, you will want to enroll your family today in this two day and one night camping experience. Over the course of your family wilderness adventure, you and your family will develop better camping skills through hands-on experiences. The seven priorities of survival will serve as the foundation upon which your adventure will rest, so you will explore positive mental attitude, wilderness first aid, shelter, fire craft, signaling, water, and food. Enroll today to begin to create a memory your children will keep close to their hearts. 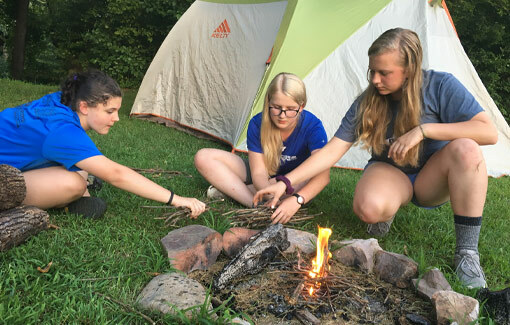 Our first Wild Comforts course brings families together in the outdoors to strengthen their bonds and their camping skills by learning the basics of wilderness survival. 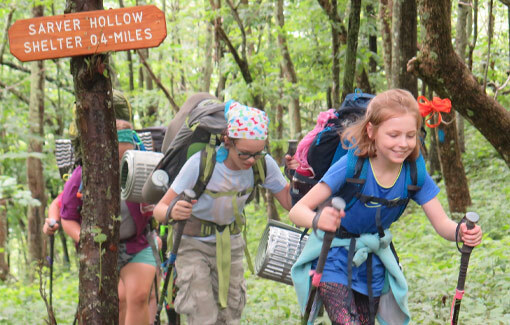 This sequel to Wild Comforts introduces the basics of land navigation and gives families the opportunity to put their skills to the test on an overnight backpacking trip! Safety always! This course is designed for the outdoor enthusiast, backpacker, dayhiker or wilderness survivalist who require or desire wilderness first aid knowledge and skills. Wilderness First Aid is an objectives-driven, skills-based course based on the ASHI Wilderness First Aid (WFA) program. 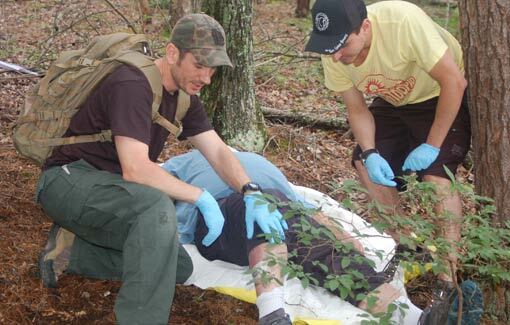 The course utilizes didactic instructions and active participation to teach students foundational knowledge of the principles of first aid in a wilderness setting and application of that knowledge. Upon satisfactory completion of all requirements defined by ASHI for WFA certification, students will be issued documentation of certification.